A question on British history for those with an interest in the subject: What international event brought about the collapse of the victorious Liberal/Conservative coalition government after the First World War, the political demise of its heroic leader, David Lloyd George, and the exile to the political wilderness of that other great hero of British politics, Winston Churchill? Not to mention the emergence of Canada as an independent nation within the British Empire? The Chanak Incident, I hear someone cry, – and you would be absolutely right! But for those of you with a more superficial interest in British history and politics, or a less persistent determination to learn about an event which receives scant attention in general histories or in biographies of those two gentlemen – let me give you a quick run-down . . . These two English gentlemen, Churchill and Lloyd George (well, Lloyd George it seems was Welsh, with quite an enthusiasm for Welsh nationalism, at least when he first entered parliament), are not generally remembered with much fondness in Turkey. However, it is my contention that modern Turks should be more grateful, because, without them, it is possible that the modern Turkish Republic might never have come into being. Of course, as with all historical events, specific dates are necessarily arbitrary, in the sense that every event has prior causes and subsequent repercussions. To understand what happened in September 1922, we need to flashback a little, to the declining years of the Ottoman Empire. In fact, the once great empire had been declining for a century or two – held together during the 19th century largely by the conflicting ambitions of the European Great Powers, who were unanimous on one thing at least: none of them wanted any of the others to get anything out of the Ottoman collapse. ‘Sick’ though it might have been, the empire still occupied a strategic location. The Russians desperately wanted to control the Bosphorus Straits which would give them easy access to the Mediterranean. The British, on the other hand, were pretty determined not to let them. At the outbreak of World War I, while they were both looking the other way, a maverick Geman admiral named Wilhelm Souchon sailed his two warships into the Black sea, hoisted an Ottoman flag, and proceeded to bombard several Russian ports. This rather forced the Ottoman government’s hand. Suddenly, they found themselves at war, not only with the Russians, but also with the French and the British. Now, I’m not writing a history of the First World War here – not even the Middle East theatres thereof, so bear with me if I skip few months, leaving aside all that bloody business on the Western Front, for example. The stalemate there did, however, bring Winston Churchill on the scene, with his grand ‘Gallipoli’ scheme to take the Ottomans out of the war and help organize Russia to attack the Germans from the other side. Well, with hindsight, of course, we know the plan was a bit of a blunder – a lot of lives lost, a lot of discontent sown amongst hitherto loyal members of the British Empire, and a rather embarrassing withdrawal by Allied forces, whatever brave face we may try to put on it. But the point I want to make here is this – the Gallipoli Campaign (or the Çanakkale War, as the Turks call it) provided the opportunity for a young Turkish officer, Mustafa Kemal, to make a name for himself as a successful strategist and commander of men. Churchill’s hare-brained scheme may not have done much for the Allied war effort, but it can be seen as an indispensable step on the rise to prominence of the eventual founder of the Turkish Republic. Good one, Winston! Nevertheless, despite the efforts of Mustafa Kemal Pasha, the Ottoman Empire, its government and people, found themselves on the losing side at the end of that Great War. Victory gave the Allied leaders the opportunity they had long sought to carve up the empire’s territories and distribute them among themselves. This carve-up, long planned by Britain and France, was given full expression in the Treaty of Sevres (10 August, 1920). The plan was to retain the Imperial government in Istanbul/Constantinople (to the chagrin, it may be added, of the Greeks, who refused to ratify the treaty) while giving control over the Imperial finances to the conquering Allies. Ottoman armed forces would be effectively emasculated and ‘war criminals’ would be brought to trial. Even the Anatolian heartland of Turkey would be divided up, with the southern coast and hinterland coming under Italian control, the south-east bordering Syria being ceded to France, and a referendum held to decide the fate of ‘Kurdistan’. So dispirited was the Ottoman government, and its people so exhausted by years of continuous war that it is possible these provisions, humiliating as they were, might have been put into effect. However, there was one last item . . . the city of İzmir and its surrounding region, and the region of Thrace, north of the Sea of Marmara to within a stone’s throw of Istanbul, would be ceded to Greece – and to ensure this happened, the Greek army, encouraged and supplied by the Allies, occupied Izmir and began advancing into Anatolia. Leaving the Greek army in Anatolia for a moment, I’d like to return to Mr Lloyd George. Our Dave apparently belonged to the Philhellene school of thought, a position popularized by the poet Lord Byron, and generally subscribed to by aristocrats who had had a love of all things classical beaten into them from an early age by the English public school system. During the 19th century, English philhellenes supported the cause of Greek independence from the Ottoman Empire, and even encouraged them in their megali idea-listic dream of recreating a Hellenic empire around the Aegean Sea. Secure in the belief (misguided, as it turned out) that the might of the British and French was behind them, the Greeks plunged into Anatolia, intent on resurrecting their former Byzantine glory. Had they not been blinded by these visions of grandeur, it might have occurred to them that the philhellenist gentlemen had their illusions based on a more classical, pagan Atheno-centric ancient kind of Greekness. They would probably have had trouble getting their C of E heads around the Byzantine Orthodox Christian variety centred on Constantinople. Certainly, it’s a fairly safe bet that the Allied powers had no intention of letting the modern Greeks get their hands on the city of Byzantine dreams. We may imagine that they were more interested in putting an end, once and for all to Turkish power, and setting up a suitably grateful puppet state in the eastern Mediterranean. Whatever the true case may be, it’s another reasonably safe bet that the event which finally fanned the spark of Turkish nationalism into flaming life, galvanised Mustafa Kemal Pasha into revolutionary action, and assisted his cause in raising an army, was this incursion into the ancestral Turkish Anatolian heartland by Greek invaders who had been finally defeated and sent packing four and a half centuries earlier. It took a few years to get them out, of course. Mustafa Kemal escaped from Allied-occupied Istanbul, and the puppet government of the last Ottoman Emperor, in May 1919. During the next three years, he organised a resistance movement, established an alternative nationalist Turkish government, built an army, negotiated with foreign powers (notably the new Bolshevik Russia) to supply munitions, and fought a successful war of liberation, driving the Greek Army back to İzmir. There is considerable debate about subsequent events in that city, but most accounts agree that, for whatever reason, Allied ships (mostly British) in Izmir harbour, refused to pick up Greek military and civilian refugees from the Turkish victory. Whatever the truth of it, the Turkish army then turned north towards Çanakkale, with the intention, no doubt, and not unreasonably, of liberating Istanbul. There was, however, a small garrison of French and British troops near Çanakkale, and the British cabinet (in particular, Messrs Churchill and Lloyd George), instructed their men to turn the Turks back – in fact, threatening them with the might of the British Empire should they not go quietly. A tricky situation, you might say, for the fledgling Turkish nation to find itself in – but Mustafa Kemal Pasha apparently decided to call the British bluff, which at this point, turned out to be exactly that. The French Prime Minister pulled his troops out, the British parliament and public expressed outrage at the thought of entering another war so soon after the last one; and the Dominions of the British Empire (most notably Canada, but with the exception of ever-loyal New Zealand) declined to get involved. The result was the complete withdrawal of occupying forces from Istanbul, the drawing up of a new treaty (at Lausanne, Switzerland) recognizing the emergent Republic of Turkey with rather more favourable boundaries, the political humiliation of Lloyd George and Winston Churchill, and the collapse of the wartime British coalition government (one can imagine, amidst a crescendo of recriminations!). Win and Dave, of course, resigned, Lloyd George, at least, never to return in any major capacity. Churchill, however, recognising his indispensability to the British people, quickly forsook the Liberal Party he had helped to destroy, and joined up with the Conservatives – and to the devil with political convictions and party loyalty. Before long he was back in full voice, demonstrating the diversity of his talents, as Chancellor of the Exchequer, and as an advocate of the enlightened use of poison gas (some years ahead of Saddam Hussein) on rebellious Kurdish tribesmen, who were perhaps not 100% convinced that the British Empire had any right to be in their particular neck of the woods. Anyway, as they say, that’s another story. 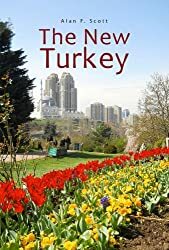 I do think, however, that residents of modern Turkey should cast an appreciative nod in the direction of Winston Churchill and David Lloyd George as they celebrate their Day of Victory on August 30th. The camel may not fully appreciate the nature of his predicament until the last straw is dropped on to his back. This entry was posted in Atatürk MK, Chanak Incident, David Lloyd George, First World War, Gallipoli, Ottoman Empire, Winston Churchill. Bookmark the permalink. ← Cyprus – What are the Turks doing there anyway? Hi Alan, this is great. The only good thing I did for my dissertation today was to read it! Seems like the allies bluffed a great deal even before this, but never so openly and foolishly. While organizing the nationalist movement, Mustafa Kemal would often get panicked messages from friends in Istanbul, warning him that the Brits were poised to invade Anatolia if he continues to galvanize Turks there. The British policy towards Turkey also caused a great deal of anger in India, helping eventually break that bit off the empire too. Hi Perin – Thanks for the encouraging comments. I've been taken to task for my use of the word 'Brit'. What do you think about that?